The First Steering Week took place at the end of August in Symington’s Quinta do Ataíde (Portugal). 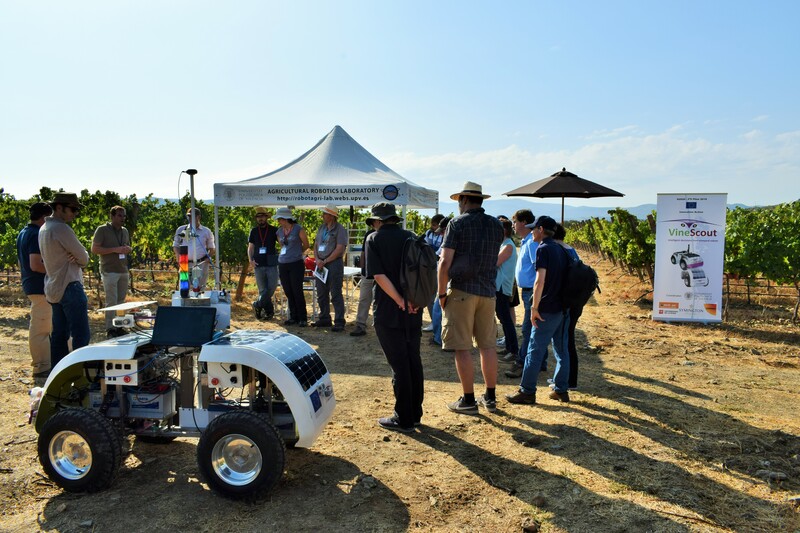 On 30 August, 2017, VineScout partners held the first AGRONOMY DAY, where invitees from different backgrounds enjoyed a beautiful field day interacting with the robot, learning its basic features and asking all they wanted to know about the project and the robot. After the open-air lunch, technical sessions focused on data acquisition and interpretation took place, wrapping up this successful day with a round-table discussion and the official survey to participants. For more details on the first Agronomy Day, visit the special section from the home page.